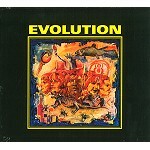 Formed 1969 in Spain mainly by German musicians. Their one and only album from 1970 which is good mixture of progressive and psychedelia. Features some excellent guitar work as well !! Super version of 21st Century Schizoid Man. Includes 4 bonus tracks.